I'm all about a good bargain, especially when it comes to clothes. 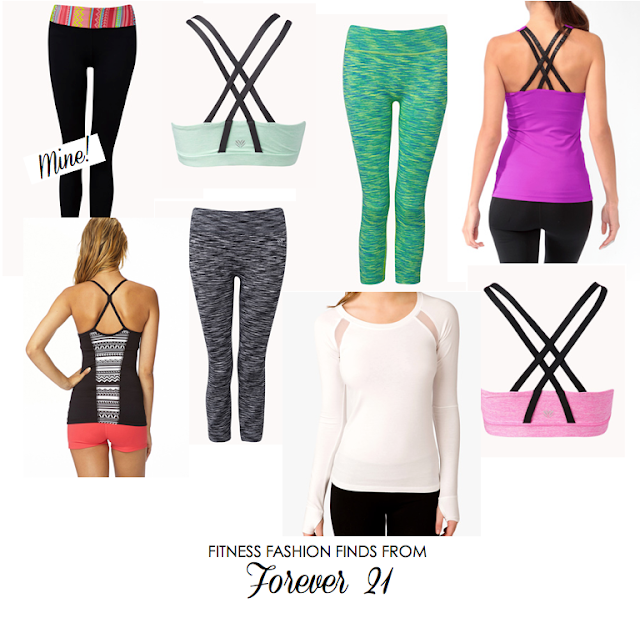 Don't get me wrong I love my Lululemon tops and my favorite workout bottoms are Zella, but recently I found some really great stuff at Forever 21! Although I've seen their activewear section in the past, I was always weary. See through pants are a huge pet peeve of mine, and when it comes to active wear, I am a stickler for comfort and good fit. I was amazed last week when in a pinch I needed a black top for a photo and found some great stuff! Not only did I find a cute, basic black workout top, but I ended up purchasing the tribal pants pictured above. They are a great material, thin and comfy, and most importantly not see through! I also ended up buying a top similar to the mesh one pictured above. It can be so motivating to buy yourself a cute outfit to work out in, with places like Forever 21 stepping up, now you won't have to break the bank!